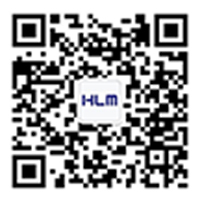 Jinhua Huilong Machinery Co.,Ltd. is a enterprise which specilized in design, R&D and production of electrical transaxle. It is located at the Jinhua economic developing industrial zone in Zhejiang. The annual output of transaxle is more than 50,000 sets. Besides be sold in domestic market, more of products are sold to Europe, the USA, South Korea and Middle East. Currently, our company possesses “Electrical Transaxle R&D Center” , the professional technical staffs which account for 30% of total staffs, and equipped with the advanced test equipment. And we have always being supported by many famous enterprise and scientific instiution at home and abroad. Our company passed ISO9001:2000 certificate of the system of quality certification in 2007, and carried out the ERP manage system to form efficient perfect quality manage system. “Carry OurStandards, Good Quality, Continuance Development, Customers Satisfaction” are our quality principles. We sincerely welcome friends and customers at home and abroad to visit us and to pursue mutual development.